Today we left lovely Sucre behind and headed to Potosí. Potosí is a mining town at approximately 4,000m above sea level. I can definitely feel the difference. Most of the time I am walking around light headed and out of breath….I am hoping I will adjust. It is very different to Sucre, you can feel it and see it everywhere. Shortly after we arrived we were whisked off with a guide to go to the mines. 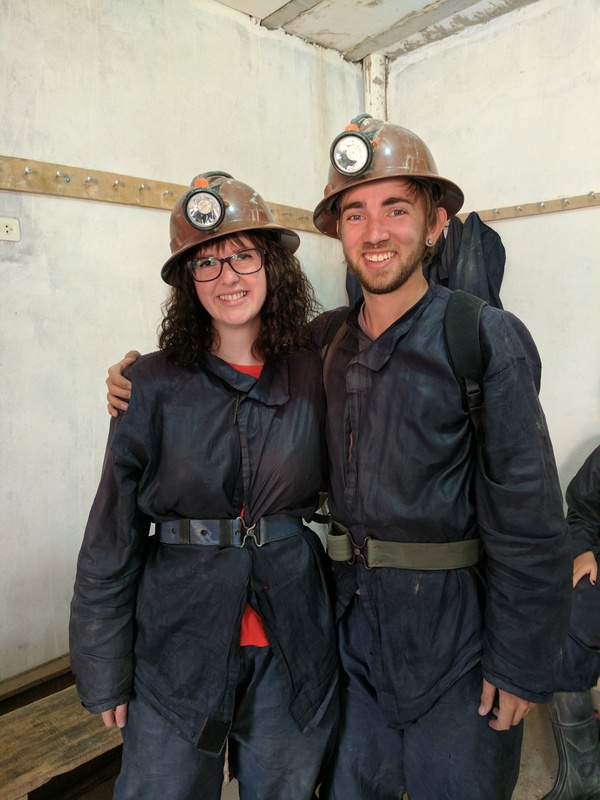 First stop was to buy a gift for the miners and then get into our mining gear. We had to wear overalls, wellington style boots, a hard hat with a light and we even got a face mask! We hopped into the van – hopped is literal….It had a massive step up and EVERY time I hit my head getting in! We headed to the refinery to see the minerals being separated. The main materials were zinc and silver. 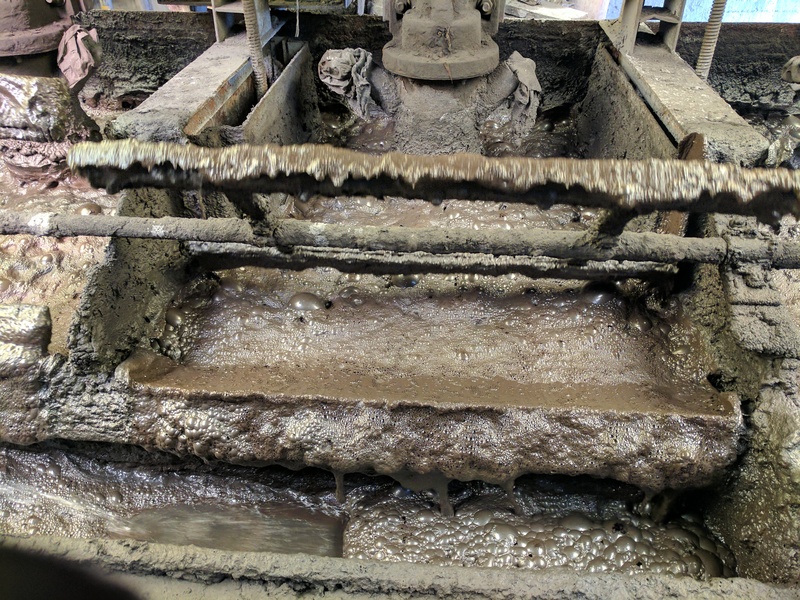 We had a walk through of the process and the machines – health and safety in the UK would have had a field day! 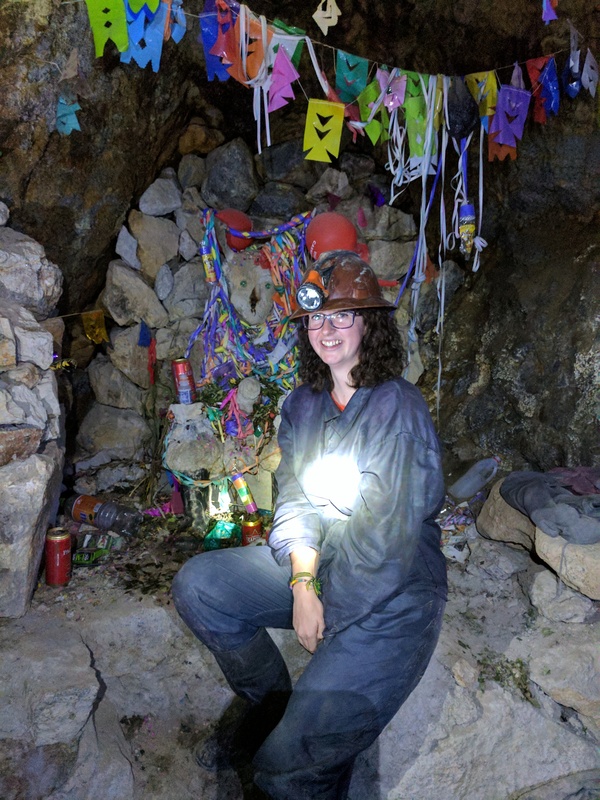 It was then back the van (thank goodness for my hard hat) and we headed to the mountain and into the mines. I had a very different expectation in my head of what it would be like in the mines based on mines I had visited in the UK where you sit in the little trams and occasionally walk but most things are barricaded and explained at a distance. Here in the silver mines, you were like a worker. You went through the tiny tunnels, stepped over the gaping holes, climbed the rickety ladders, experiencing a dynamite blast and we even attempted to lift the bags for the miners. Before we left the mines, we were taken to see the devil. That was the hardest climb….Mostly on hands and knees. The devil is an important representative to the miners with each part of it standing for something they hope for. They often leave coca leaves as offerings and come to drink with the devil on Fridays. 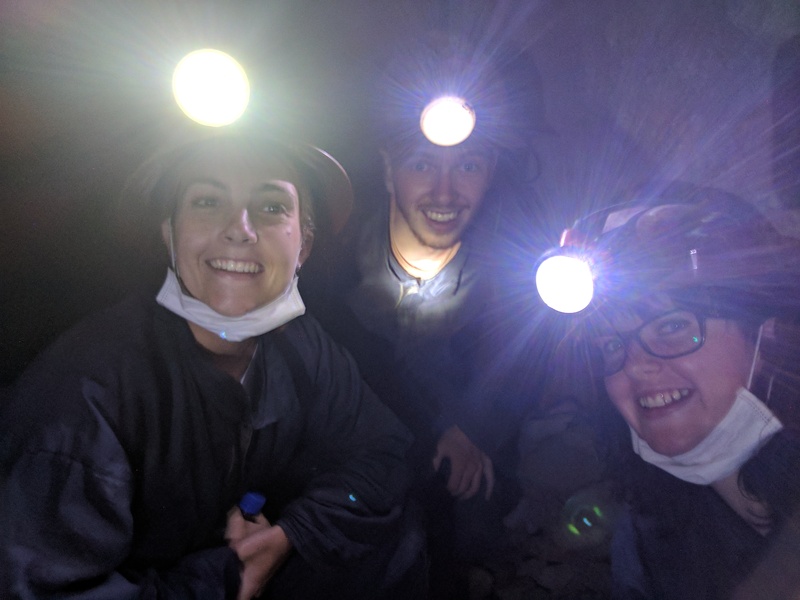 After having a good look and making an offering, we turned the lights out and used teamwork to get out of the mines in complete darkness. It was hilarious, good communication like “this way” and “watch your head there” made me laugh endlessly, but we made it and all in one piece at that (ignoring my already dodgy ankle). The evening was spent celebrating my wonderful roomies special birthday. We went for a beautiful meal and went for karaoke, don’t worry I spared everyone my terrible singing and just cheered the others on. Tomorrow we leave for the salt flats which will be amazing but no WiFi! My phone SIM card also appears to be playing up….Oh the joy. So the next few days will be interesting….